Contact lenses are an excellent choice for nearly anyone who needs vision correction but doesn’t want to wear eyeglasses full time or undergo corrective surgery. Approximately 17 percent of U.S. adult18 or older wear contacts. Some children begin wearing contact lenses as young as 10. Here are the basics about contact lenses. Ask your eye doctor if you are interested in wearing contacts. Designed only to be worn while awake; in this case daily wear refers to no sleeping in your contact lenses. Designed so that a wearer can sleep in contacts overnight. Patients must be cautious. Not everyone can sleep in contacts without discomfort or worse, an eye infection. Designed to be discarded after 1 day’s use; the most comfortable and safest way to wear contacts. Designed to be discarded after 2 weeks of wear or sooner; can be either daily or extended wear depending on how your doctor recommends you wear the lens. Designed to be worn up to 1 month; can be daily or extended wear depending on how your doctor recommends you wear the lens. Often times called continuous wear; designed to be worn for up to 3 months, can be either daily or extended wear depending on how your doctor recommends you wear the lens. Corrects near or farsightedness; these lenses have just one curve and have the greatest range in prescriptions. Too often, people mistakenly believe they can’t wear contact lenses because they have astigmatism. 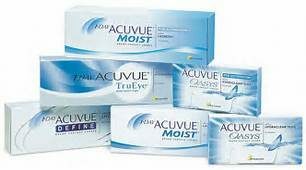 The truth is, today there are plenty of excellent options for correcting astigmatism with contact lenses. Most toric contacts for astigmatism are soft lenses but there are toric contact lenses made from RGP contact lens material. Toric lenses have different powers in different meridians, so they must remain rotationally stable and move only vertically with blinks. Some toric lenses are weighted to keep from rotating. The onset of presbyopia can be frustrating if you wear contact lenses. One solution is a monovision contact lens fitting. Monovision contacts can reduce your need for drug store “cheaters” and are an especially good option if you are not a good candidate for bifocal contacts. With monovision, you wear a lens on one eye to correct your distance vision and a lens on your other eye to correct your near vision. The lens for distance vision is usually worn on your dominant eye. Though monovision might sound difficult to adjust to, most people adapt to it easily and don’t even notice which eye is their “distance eye” and which is their “near eye” when both eyes are open. Bifocal and multifocal contact lenses are designed to provide clear vision at all distances for people who have refractive errors and also are experiencing the normal age-related decline in near vision called presbyopia. 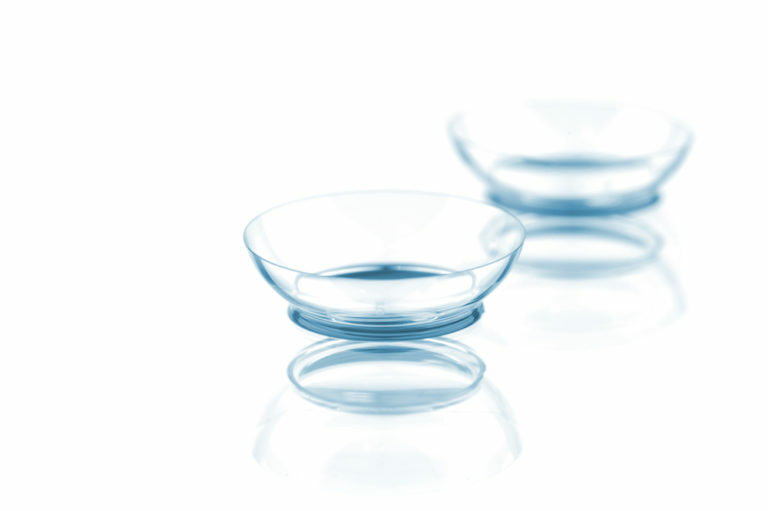 Bifocal and multifocal contact lenses come in both soft materials and RGP materials. Some can be worn on a disposable basis. That means you have the convenience of throwing the lenses out at specified intervals (even daily, in some cases) and replacing them with fresh, new lenses. Rigid gas permeable contacts may also be called gas perm, or oxygen permeable lenses. RGP contact lenses are rigid lenses made of durable plastic that transmits oxygen. Some of the most successful wearers of RGP lenses are patients who are willing to go through a comfort adaptation, have astigmatism, need bifocal or multi-focal lenses and patients with keratoconus. are gas permeable contact lenses specially designed to vault over the entire corneal surface and rest on the “white” of the eye (sclera). In doing so, scleral lenses functionally replace the irregular cornea with a perfectly smooth optical surface to correct vision problems caused by keratoconus and other corneal irregularities.